Andrew Heming's Blog: Is Your Body Battle Ready? Is Your Body Battle Ready? With tomorrow being a special day for many as we honor our veterans who have sacrificed so much for our freedom. Because of this and in light of recent world events, I have been thinking about some questions that I encourage you to think of. If someone tried to attack you, would you have the ability to protect yourself or get away? If someone tried to attack one of your loved ones, would you be able to stop it? If an innocent victim was being harmed, could you step in and help? 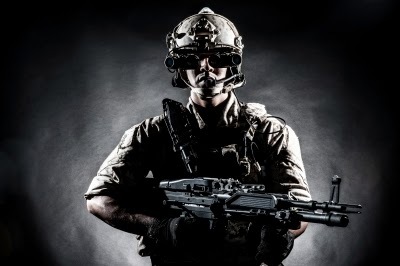 If our country had to go to war that required ground fighting, would this generation be physically ready for it? While there are many skills that could be invaluable in these situations one important aspect to being ready for emergencies is making your physical body can handle what these situation could require. Here are some guideline and a complete sample program help you be ready when you need to be. I wish to express my thanks for all the countless men and women who have suffered, bled and died and to all the families who have suffered loss for our freedom. We are all forever indebted to you! May we never forget the high price you paid for the many freedoms we enjoy today. As with athletic performance, you cannot just go to the gym and do mainstream fitness fads and expect to be battle-ready. If you want to prepare your body for combat or emergency situations, here what you need to do. I can’t help you here, but I encourage you to explore courses in self-defence, first aid and other relevant combat and emergency skills. Strength lays the foundation for sport and real-life performance. If you are strong, you have options and you can quickly develop many other essential physical qualities for emergency situations. Take some basic barbell movements (e.g. deadlifts, squats, presses), do about 3-5 sets of 3-5 reps and progressively add weight. These basic movements make you really strong and they transfer very well to real-life performance. Also, for building high levels of usable relative strength, body weight exercises such as pull-ups, and dips can be a great addition to barbell training. In most combat or real-life emergencies, fat is dead weight that will do nothing but slow you down and make everything harder. Combined with proper eating, the sample program below will help you get lean. Also, for more info on how to get lean, there is tons of free information on this blog. 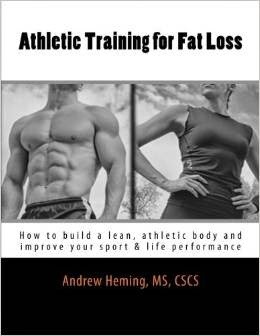 Or, for a complete guide to getting lean in a way that enhances your real-life performance, check out my book, Athletic Training for Fat Loss. Few (if any) things are more functional than pushing, pulling or carrying heavy objects. Having the strength and work capacity to carry a wounded soldier away from enemy fire or an injured victim out of a burning building is an invaluable quality. Being good at loaded carry exercises can literally be a life-saver. Loaded carries can be done with very heavy weight for short distances to build true functional strength or lighter weights for longer distances to improve real-life conditioning. See this post on The Magic of Loaded Carries for more information and my YouTube loaded carries playlist for more ideas. If you had to chase someone or run away from someone, you would not use long, slow jogging. Adding regular sprinting to your program is a huge step in being battle-ready. Note: sprinting can be done two different ways: you can do short distances with long rest intervals to get faster or slightly longer distances with shorter rest intervals to improve your conditioning – both are important! Thanks to people like Gray Cook and Tim Anderson, there has been a return to using basic, human developmental step to restore optimal human movement. It starts with going back to what we did as toddlers. We didn't use fancy equipment, unstable surfaces and small, isolation exercises to build strength and stability. Instead we just did simple, progressive movements that allowed us to naturally develop the strength and stability for walking. These included movements such as rolling, forms of planks, crawling and squatting. These basic human movement skills are then ideally progressed into activities done naturally when children are allowed ample time of free play. When this happens, additional movement skills are added such as tumbling, swimming, jumping, landing, sprinting, stopping and cutting (change of direction). Also, when you add things like playgrounds and trees, additional skills such as balance are developed by walking across beams and incredible functional strength is built through climbing. However, today sterile, padded room environments, free play is replaced with early specialization in sports, continual structured activities, TV and video games. This continues into years of sitting at a desk and being continuously hunched over a cell phone. By returning to fundamental movements such as rolling and crawling (both are great in a warm-up) you can naturally re-establish proper movement patterns and build real stability. Then, in the main training session, look to add climbing and movements that get you handling your own body weight. When many people hear the word conditioning, they think of things such as jogging. However activities such as long distance jogging lack specificity to real-life situations and will impair your ability to develop the other important physical components mentioned above. Activities such as carrying a wounded person, hand-to-hand combat, running to help someone, running away from someone or running for cover require high levels of anaerobic (without oxygen) conditioning. Sprints (ideally with some change of direction), sparring/grappling and loaded carries done with incomplete rest intervals will build battle and emergency-specific readiness. In addition to this, being able to hike for long distances over various terrains and carrying additional gear (e.g. heavy packs) are also important. See my post on The Right Type of Cardio for You for more details on the pros and cons of different types of conditioning. Note: this a sample program only and may not be safe or appropriate for you. Always check with your doctor before beginning this or any other program. Adapt to you individual needs and abilities as needed. Also, most of these exercises are on my YouTube Channel. Spend 5-10 minutes to do what you need to do to be ready (see my YouTube playlist on Warm-Up, Mobility and Corrective Exercises for ideas). Include some basic rolling and crawling patterns. Do warm-up sets as needed before the strength work.